According to findings published in the American Journal of Industrial Medicine, workers employed by tree care experts and licensed arborists were more likely to receive health and safety training and to use personal protective equipment than those employed by companies that are not part of the professional arboriculture network. The research also shows that Spanish-speaking day laborers often had little training or use of personal protective equipment. Tree care workers have one of the most dangerous jobs in America, regularly encountering heights, slippery conditions, falling limbs, sharp equipment and electrical wires. 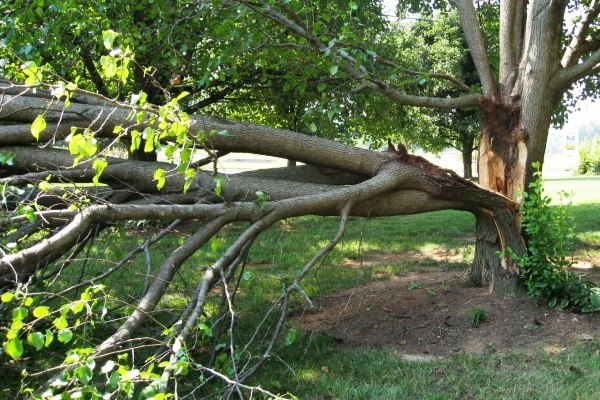 The incidence of injuries increases after storms when unqualified "storm-chasers" with chainsaws and landscaping companies offer their services to uninformed homeowners. Some municipalities also struggle to handle tree damage with inadequately trained labor and old equipment. Annually, tree care injuries account for about 80 worker deaths and at least 23,000 chainsaw injuries treated in emergency departments. Many of those injuries result from inadequate training and equipment. "There is a popular misconception that tree removal is low-skill work, but nothing could be further from the truth," said Michele Ochsner, formerly with Rutgers School of Management and Labor Relations. "Handling storm-downed trees without injury to people or property involves an array of technical skills and knowledge of how different species of trees respond in different seasons and weather conditions." Storms and the ensuing long hours exacerbate the job's significant risks. "Tree care crews handle thousands of downed trees in the wake of a hurricane or even the recent snow storm. It takes knowledge, proper equipment and coordination to do that safely," Marshall said. Although there is no current Occupational Safety and Health Administration standard for tree trimming, employers are required to comply with all general industry standards set by a network of national, regional and state associations, said Marshall. She noted that New Jersey recently passed a comprehensive licensing law to assist consumers in hiring a tree care company that upholds the state's standards. "Our interviews with tree care workers revealed a number of recommendations to plan ahead for major storms," said Marshall. "For example, companies and municipalities should ensure equipment is well maintained, employees are properly trained in their native language and provided with personal protective equipment. Consumers should work with a licensed tree care professional to identify damaged or improperly planted trees and remove dead trees and limbs before the next big storm. Then, they will be ready when bad weather arrives and trees come down."